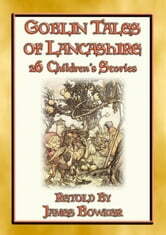 Herein are 26 illustrated tales about the goblins, fairies, elves, pixies, and ghosts of Lancashire for children. 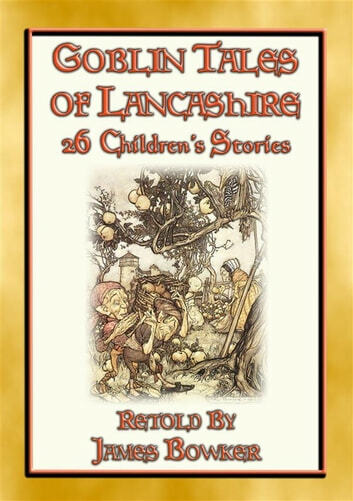 As you can see this book is not only about goblins but rather about the many beings which inhabit the lands of the Fairy Kingdom. The Rescue Of Moonbeam, plus many, many more. It times well past, it is easy to understand how the unlettered peasant could people desolate areas with beings of another world; either the bleak fells, the deep and gloomy gorges, the wild cloughs, the desolate moorland wastes; or the salt marshes where the breeze-bent and mysterious-looking trees waved their spectral boughs in the wind; the dark pools fringed with reeds, amid which the 'Peg-o'-Lantron' flickered and danced, and over which came the hollow cry of the bittern and the child-like plaint of the plover; and the dreary glens, dark lakes, and long stretches of sand of the north and west. To them the forest was a place of solemn, Rembrandt-esque gloom, where Druids erst heard victims groan, the lonely fir-crowned pikes, and the mist-shrouded mountains, would seem fitting homes for the dread shapes whose spite ended itself in the misfortunes and misery of humanity. Pregnant with mystery to such a mind would be the huge fells, with their shifting 'neetcaps' of cloud, the towering bluffs, the swampy moors, and trackless morasses, across which the setting sun cast floods of blood-red light; and irresistible would be the influence of such scenery upon the imagination of lonely traveller riding, or walking, between villages and towns at night, with a feeling that he was surrounded by the supernatural. So sit back with a steamy beverage and be prepared to be entertained for many-an-hour.